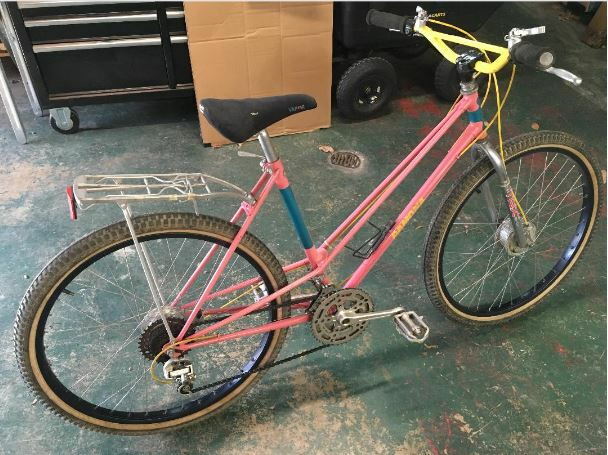 The pink MTB began as a white Chiorda ten speed that I revamped in '83 for my then-girlfriend, now wife. The pet name Ramona is painted on it. Drums provide braking without marring the black rims, yellow MX bars with matching cable housing and paint by Marinoni. I had the original road fork painted at the same time and still have it, so the bike can be "re-roaded" again. 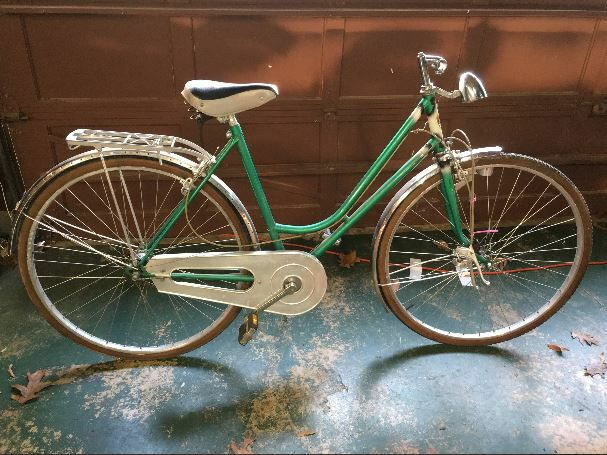 This little Concord 3-speed from Switzerland was languishing at the local co-op until I couldn't stand to let it sit there any longer. Sturmey hub, alloy 700C wheels with DT spokes, neat paint and that groovy chainguard; just a lovely little bike. I actually bought it for the wheels in order to build up my Raleigh Pro frameset as a path racer but that may never happen.